This year several D.T.W.C. members chose to attend The Whisky Show hosted by Sydney's local World Of Whisky at The Sir Stamford Hotel on the 28th to 29th of June 2013. Held over 2 days with 3 sessions, the event virtually saw it sold out across the board. 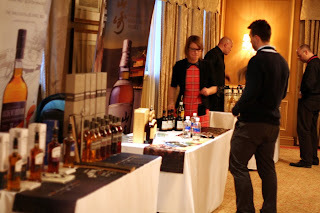 There was many new whiskies around the traps with ample variations to pick and choose as you will. Could this be the launch platform for new introductory whiskies and introductory expressions to Australia in the future? Not a bad idea and I would be sure to return if it was. In attendance as a group was The Grey Bush, El Capitan, and myself The Baron. As per usual at these shindigs a bag was provided on entry with a glass, some booklets, and a book of tickets for using to gain whisky samples. The tickets were never used so I am not sure what the point of that was. Both times I attended I opted for no bag as I brought my own but was continually hassled by security asking "what's in your bag", "show me your show bag", "show me your arm band", "who let you in". In 2 cases I literally was chased down by foolish security that forcefully grabbed me by the arm after existing the toilets because to relive yourself required exiting the venue. Not cool. The reason for checking for a show bag was because the arm bands would simply fall off so the show bag because the tried method of knowing if you paid or not. By the end of the nights a dead bag pile would start as everyone started dumping them anyway and arm bands occasionally littered the floor. First floor just before the crowds hit. 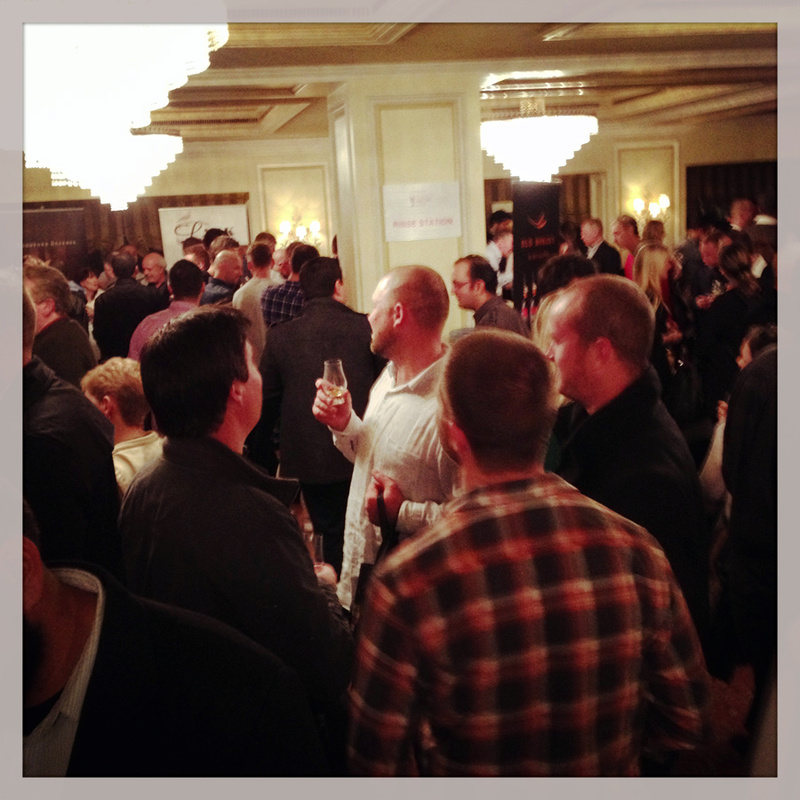 The event was held over 2 floors with the upper level certainly being the place to be. Traffic was heavy between floors and a lack of signage was a problem as the upstairs was not marked so I saw quite a few people including myself on the first night lost and thinking is the first floor all there is to offer. Not only that on the first evening I had to go to the concierge and ask where the entry was after walking back and forth and then even going into the basement car park trying to find a way in. There was no sign for the entry to the show. Venue was great, clean, tidy, and remained pretty cool most of both evenings. 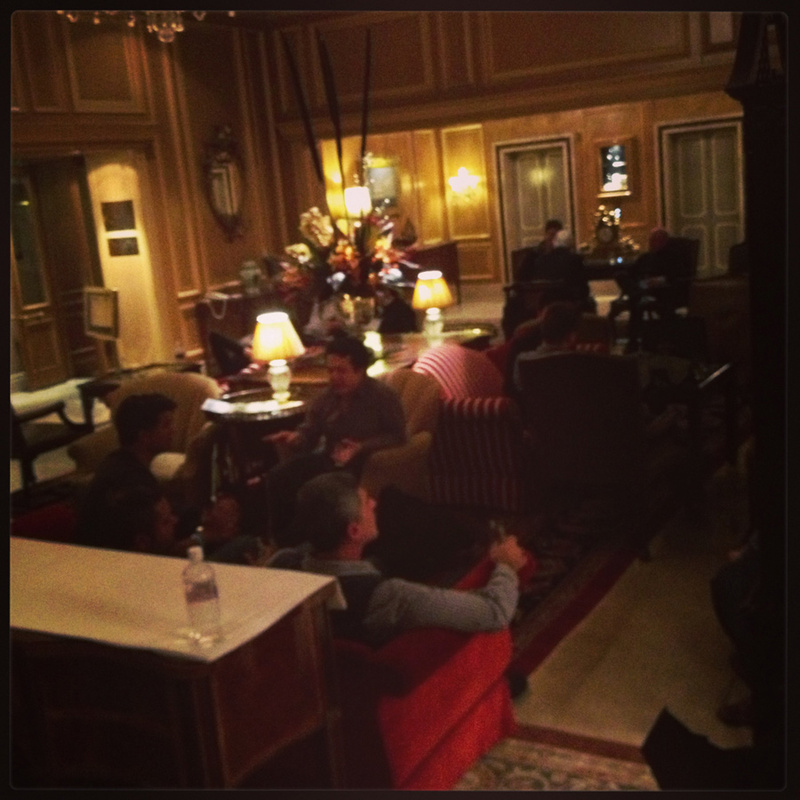 The impromptu breakout area of the hotel foyer worked a treat to get away from it all. On the 2nd night I observed a big group of chaps that figured out quickly if they just sat in the foyer and sent in one or 2 guys with glasses to get them filled up meant they could serve friends without tickets all night long. It did mean a few of the guys had some major issues with going to the toilet but a change of the ever increasing unsticking arm bands made short work of that. Cheeky buggers. So lets break this down into segments in an attempt for a balanced review. By far nothing on the night outshone Overeem by Old Hobart Distillery. Family owed and managed the whisky was delicious and by far they were the most approachable and always happy to chat. Of course the whisky was outstanding to say the least. Aged in 100L barrels means a much faster maturation process with a heavier saturation of flavours from the wood. Even at 43% the Sherry and Port expressions where through the roof in body, flavour and character, but best of all it bloody well did not taste like it was trying to be like a Scotch whisky. Wow a real treat. I had to make the Overeem Single Cask, Single Malt Whisky – Sherry Matured 43% my first dram of the night and last dram for the event. Well done! A note for punters is that Overeem ferment their grain at Lark Distillery before shipping it over to their own still house for distillation. Just shows you do not have to be big to be great. 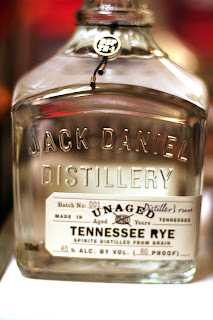 I finally had the chance to try the Jack Daniels Unaged Tennessee Rye. Soon to be in very limited release in Australia at many independent bottle shops and of course at your local Dan Murphy's I urge if you see a bottle to grab it quickly. Watered down to 40% ABV it is surprisingly sweet (because rye is a very spicy grain) and makes for a great mixer but also a smooth sipper. Classed as the first new mashbill from the company in 100 years, do not expect this to be anything like Old No.7 because hell it's a rye to begin with. What also should be considered is that this is such a limited run because most of the stock has been laid down for aging so it may be another 5 to 6 years or even more before we see it come to maturity and re-released. As per usual if I see a white dog I am always keen for a sample. On offer if you ask for it was a sample of a Woodford Reserve new make spirit at 55% ABV. This was one bitter/spicy bugger and very different to the supper sweet corn or barley new makes I have had before. 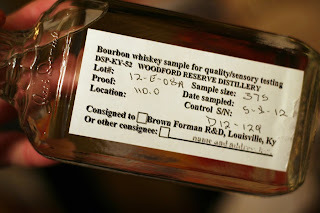 Very glad to have tried it and to know just where Woodford Reserve starts. On the lower level it was great to see a whisky shop to browse and buy all in one place. I did see several whiskies not on show or at least I did not encounter them which was a bugger but hell it is a shop. Made for the perfect exit knowing you did not have to rush around back to vendors trying to buy things. A great idea and it looked good too. 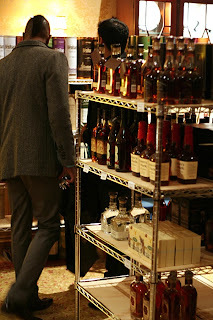 Of course some prices were well out of reach but a good many affordable whiskies were there for the taking. The small pour. Many of the vendors were using measured pours and this is smart. I get sick of tipping whisky in the bin after tasting and feel even worse if it is a good whisky. The measured pour also slow the drunken behavior of many. This is the first time I have seen this used so extensively over the different whisky events through the years. It should be enforced. 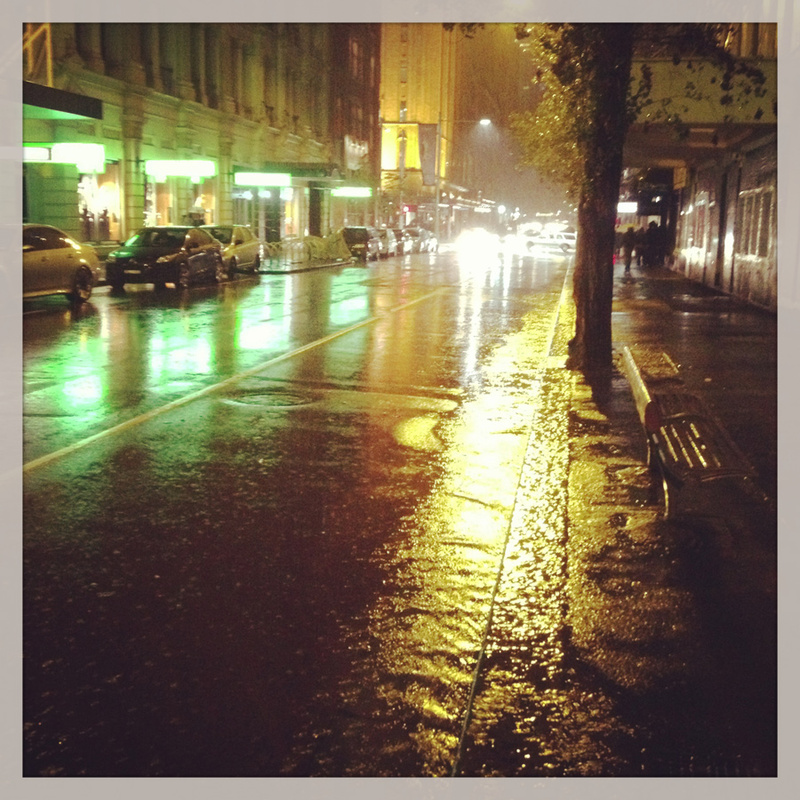 Heaps of water. Not just bottles but fountains you could refill your bottles and glasses at. A great centralised location. Easy to get to and easy to grab transport after. Spot on for Sydney because no matter where you are in greater area you will always be able to get to Circular Quay. 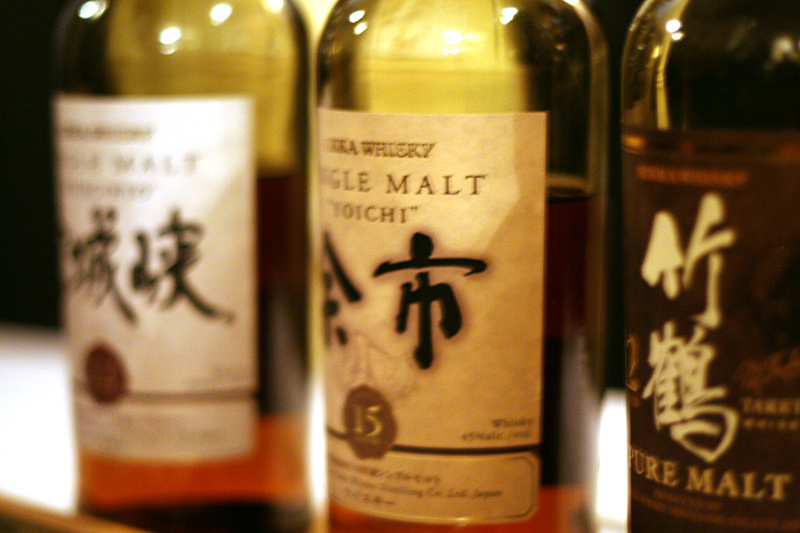 A limited but nice range of Nikka whiskies, but unavailable here in Aus so why where they here? There was just whisky. No kidding I am so sick of going to whisky events and finding rums, gins, vodka and other crazy stuff that has nothing to do with events that promote it as a 'whisky event'. Now that is not to say there is a place for cocktails and various other spirits to experience but the shear fact none of that was mixed up within the whisky arena was perfect. Bravo! Drunken behavior was rife. 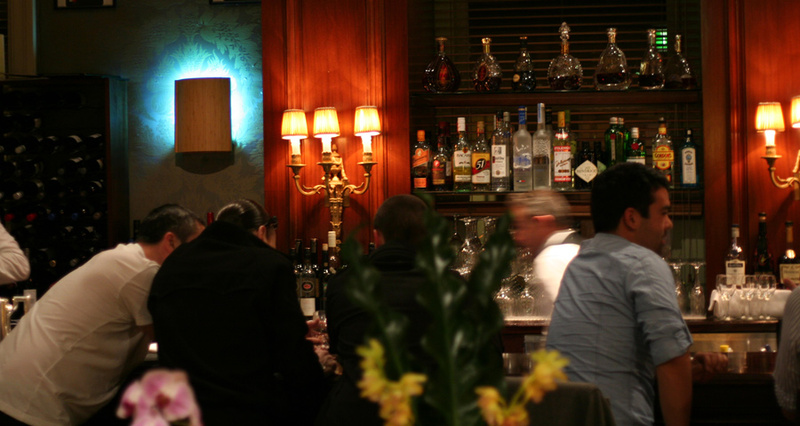 You cannot stop someone wanting to get drunk but you sure as hell can stop serving them. Reps failure for responsible service of alcohol should not be ignored and I would have seen a good 80% of these guys at many an events in Sydney over the years so they know the drill. If the police were present 1/4 of the reps would have been fined on the spot. Very slack. Food was average but constant to a degree. On the upper floor on the 2nd night we saw 1 tray of sandwiches brought out every 15min and with a packed room and if you were not next to or near them on arrival you could forget your chances of nabbing any. We took to standing at the nominated food table in anticipation of the arrival. Simply is great but there need to be more and more often. I saw many a vendor also on a hunger run with little opportunity to grab food themselves. Over crowded on the 2nd night. Too many people which left you unable to talk to any of the reps that actually knew something about the whisky they were serving. Still it did not get hot even without all the bodies so that was a bonus. I heard the mid day event was a shocker for crowds. Hidden in the back corner was one small cocktail table with one cocktail to sample. As I believe it was hosted by Glenmorangie and the cocktail was a competition winner. Aptly named 'No Money No Honey' it was like drinking a jar of honey. Personally it was just foul for the occasion. Harsh, sweet, syrupy and simply pallet destroying! There was clearly no consideration by these guys in what would happen to your pallet after drinking this at a whisky tasting event and it took forever to rinse the glass to get the contamination out. I love Glenmorangie but this was so wrong and so poorly chosen. Kavalan Whisky was one of the worst vendors I had encountered on the night. Yes I had high expectations and set out to make this my first whisky on the first night. I did not do the master class and I believe different whiskies may have been on tasting compared to the open table. 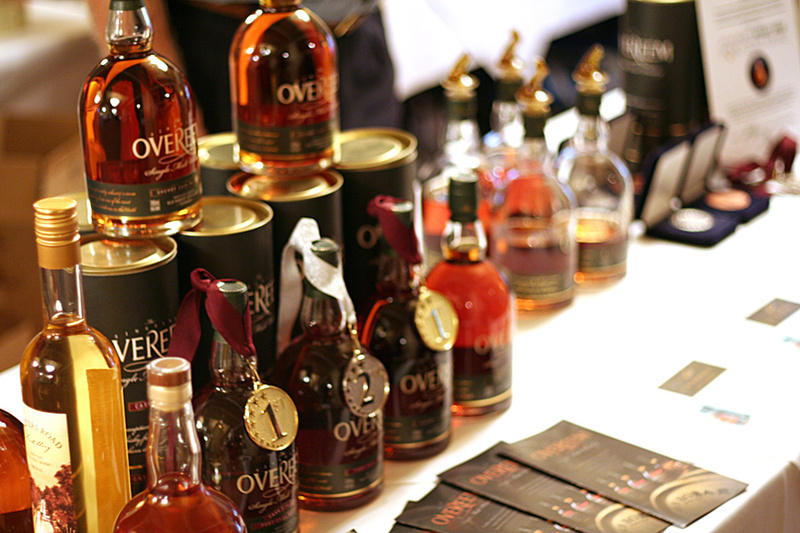 What was on the tables just did not compete with most of the other whiskies around it. Not only that but the reps could barely speak english in a cohesive manner so even if they really knew their stuff, with all the noise, communication was confused and misinterpreted. With all the hype I was hoping that this was going to be something new and exciting but it simply was not. It may be one of those whiskies that begs to be drammed in isolation to really enjoy it… I hope for their sake it is. I have made a point to revisit these whiskies. Starward whisky... what is going on with that one. Based on what the reps were saying I got the feeling it is wearing a wizards hat, holding both a druids sickle and alchemists vial, while sitting at Captain Kirks chair. Again maybe something that is needed to be appreciate in isolation. Unfortunately it's surrounded by recent award winning hype and silly marketing like 'a modern whisky unshackled from tradition' and 'borrows from the past without being constrained by it'. All I got out of it was wet vegetation and green bananas with a feeling of 'is that it...'. Is this an over thought whisky with too much science blended in? I want this to be better. On the cards as another whisky to revisit. I love the rain but it really really really rained a lot on the first night. 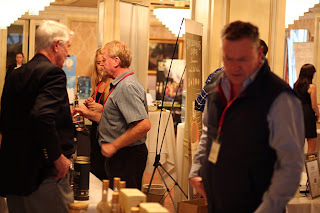 I have found at both The Whisky Show and Whisky Fair the first night (taking into account it is a Friday Night) is the best event to attend. There is never as many people and vendors are not exhausted which gives you a chance to talk to the reps and seriously take in the whisky. Always eat before you arrive due to the fact you will be guaranteed to have sampled 5 to 6 whiskies before food ever arrives and by then everyone is pouncing for a bite. Don't pack your whole year of whisky experimentation into one night. If you found a whisky you were interested in, write some notes and be sure to go to a few master class on those distillers at one of the whisky retailers like World Of Whisky or Oak Barrel. This is truly where you going to discover something about that whisky that took your interest. Had enough whisky? Sir Stamford had a cozy bar to hang out at after and before the event. As I am finding more and more that at these events so many whiskies shine in isolation but collapse under the pressure of pallet saturation. Luckily for myself attending over 2 nights meant being specific in what I wanted to try first to ensure as clean a pallet as possible. Overall this event has served my appetite for the year in over indulgence of whisky. Of course we have our whisky club that brings new things to the table every 3 months, so these kinds of events don't hold as much interest to myself as it would for others. 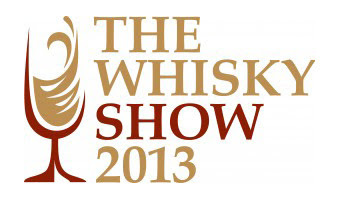 Thumbs up to the World Of Whisky it was a great show. To give a dram 6 out of 7.